Electrical boxes with maintained functionality in fire | KOPOS Elektro Kft. 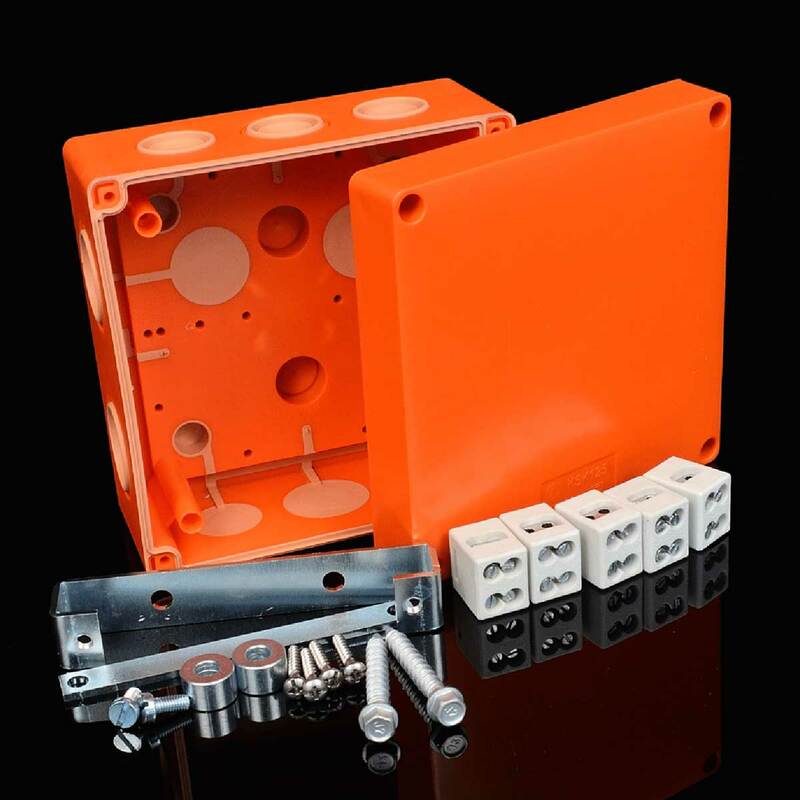 Boxes are fitted with 5 ceramic terminal blocks for installing up to 4 cable wires onto a one potential. It is fastened using anchors for use in concrete (supplied). The boxes are designed for use only for power cables with proven functionality during fire. The fire-resistant wiring boxes are made from halogen-free material and contain soft conduits to make it easier to cables into the box.